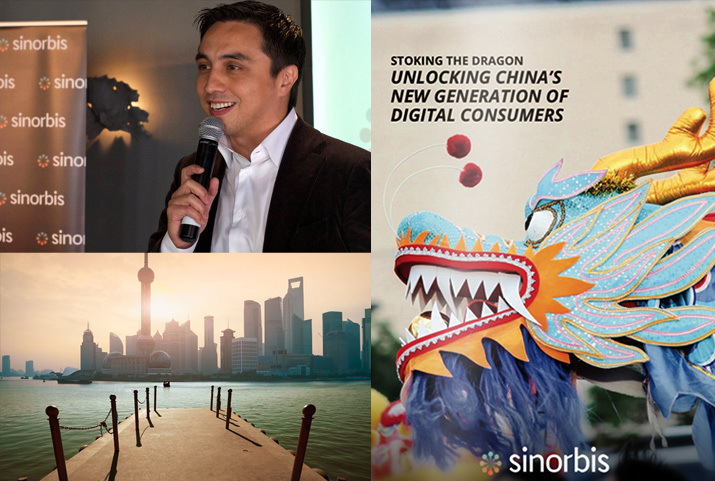 Sinorbis, the emerging Australian digital leader helping companies tap into China’s burgeoning online consumer population marked its launch this week, with the release of a whitepaper and an launch event in Sydney, which was well attended by media, investors and stakeholders of Sinorbis. The whitepaper – Stoking the Dragon: Unlocking China’s New Generation of Digital Consumers – examines China’s unique online ecosystem, its new generation of consumers, and the cultural and economic differences that have made it historically difficult for Australian and international businesses to operate effectively in China’s online environment. According to the whitepaper, the opportunity for Australian businesses is staggering, with China’s private consumption rising dramatically – through rapid urbanisation, increasing affluence and the rise of e-commerce – and forecast to grow by another 50% to reach A$8.6 trillion by 2020. “Chinese consumers are increasingly looking internationally for premium goods and services and Australia is high on their radar, demonstrated by strong year-on-year increases in search volumes for Australian products,” said Nicolas Chu, CEO and co-founder of Sinorbis. “This is a pivotal time for international businesses to position themselves to meet growing demand from China’s new generation of upper-middle class consumers. Many businesses baulk at doing business in China, but with the right knowledge and local expertise it can be as easy as doing business in Australia,” he said. Exclusive data in the white paper from one of China’s largest search engines, Sogou, highlights four key industries that draw major Chinese interest: health foods and supplements, travel, real estate and education. According to Mr Chu, these results demonstrate the strength of Australia’s brand in China, and highlight opportunities for Australian businesses to grow, particularly in education and tourism. “Online searches for premium Australian health supplements, increased by 232 per cent in 2015. This was led by strong increases in search for Blackmores (+316%) and Bioglan (+179%),” continued Mr Chu. Health Foods and Supplements: Interest in Australian premium food and health related products is on the rise with Sogou data showing online searches for this category increased significantly in 2015. Searches for Australian and New Zealand health supplements increased 232% compared with 2014 and milk products by 95%. Travel: Australia remains one of the most popular destinations for Chinese travellers, with the number of searches for travel to Australia increasing by 201% year on year in 2015, compared with 35% for the US and 17% for Europe. Real Estate: Chinese prefer Australia real estate, with the volume of searches in 2015 being 17% higher than for the US, four times (417%) higher than Canada and eight times (830%) higher than the UK. Education: Australian universities are increasingly popular with Chinese students, with the volume of searches for universities in Australia rising by 33% year on year in 2015, compared with 9% for the US and 19% for both the UK and New Zealand. “Australian businesses that are not addressing this Chinese demand are missing out on a once-in-a-century opportunity. Even the simple step of optimising their website for a Chinese audience can provide immediate returns,” said Allen Qu, co-founder of Sinorbis and CEO of Netconcepts China. According to Sinorbis, Australian suppliers need to recognise and embrace the cultural, technological and regulatory differences between the Chinese and Western online landscapes, and invest in local expertise if they are to successfully capitalise on this opportunity. Sinorbis is able to provide this new level of sophistication and expertise in marketing to China, through its partnership with Netconcepts, a world-leading Search Engine Marketing service provider based in Beijing. Co-founders Nicolas Chu and Allen Qu bring a wealth of China experience and market knowledge. Since establishing operations in late 2015, Sinorbis has signed with prominent Australian businesses such as REA Group, the University of New South Wales, the University of Technology Sydney, and the University of Tasmania. Sinorbis plans to further transform the way Australian businesses address this growing Chinese online demand, and has raised $1.5 million to build an innovative online marketing platform which, once ready, will provide a one-stop-shop for Western companies to generate qualified Chinese leads. Download the whitepaper: Stoking the Dragon: Unlocking China’s New Generation of Digital Consumers.